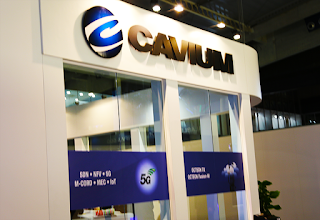 Cavium, a provider of products designed to enable intelligent, secure processing for enterprise and cloud data centres, announced that its FastLinQ 45000 Series 25/100 Gigabit Ethernet adapter technology, which delivers up to 200 Gbit/s throughput, has been integrated into Data Plan Development Kit (DPDK). As a result of the integration, Cavium's FastLinQ technology is able to host demanding network function virtualisation (NFV) and cloud workloads while helping to reduce deployment costs. 1. High performance and scalability for NFV and cloud workloads leveraging standard technologies and small packet performance, with functionality optimised for software-defined networking (SDN) and OpenStack deployments requiring high speed networking. 2. Improved server utilisation via hardware offloaded protocol processing for RDMA, VxLAN, GENEVE and NVGRE, reducing the CPU burden and enhancing server efficiency and enabling optimised performance and reduced cost for network encapsulation with virtualised workloads and hybrid cloud deployments. 3. Combined with Mirantis Fuel for OpenStack orchestration and QConvergeConsole topology maps for OpenStack, the Cavium solution enables integration and helps to accelerate the deployment of workloads in telco and cloud data centres. The Cavium FastLinQ 45000 Series 25/100 Gigabit Ethernet adapters are available from Cavium, HPE and other major OEMs, fully integrated into DPDK, and are shipping in volume. Last week, Cavium announced that its FastLinQ QL45000 Series of 10/25 Gigabit Ethernet NICs had been certified for Microsoft Windows Server Software Defined Datacenter (SDDC) Premium.